Those who takes pills acyclovir purchase need to understand that every remedy.. This enclosure is made of 18-gauge zinc-coated fabricated steel with a powder coated tan finish. It is open top and bottom to the inside of the finished wall and a door/lid that is fastened with 6 zinc-coated Phillips sheet metal screws. The door is embossed with the word “Communication”. It also includes a 1/2″ plywood backboard for easy mounting of low-voltage utility equipment. The BN14326W-UL is UL listed (UL1863) and designed to to meet NEMA 3R specifications. Replacement lids are also available from Benner-Nawman, Inc. 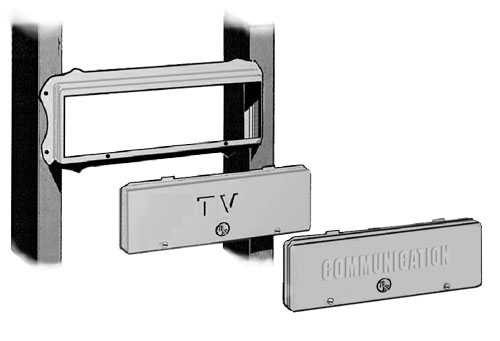 This enclosure is UL-Listed (UL1863), designed to NEMA 3R specifications. BN1020 – “Communication” embossed lid • BN1020TV – “TV” embossed lid. Replacement lids are also available from Benner-Nawman, Inc..